Many of the biggest names and most widely revered workers of the golden age of British wrestling, both amongst fans and peers alike, owe at least some of their success to Charlie Glover & his gym behind the famed Junction Public House in Barnsley. The training ground produced some expert hands in the art of grappling by providing a strong basis of fundamentals and a foundation in real (shoot/catch style) wrestling, which translated as a strong, believable style of performance and some of the most legitimately tough workers on the British circuit. 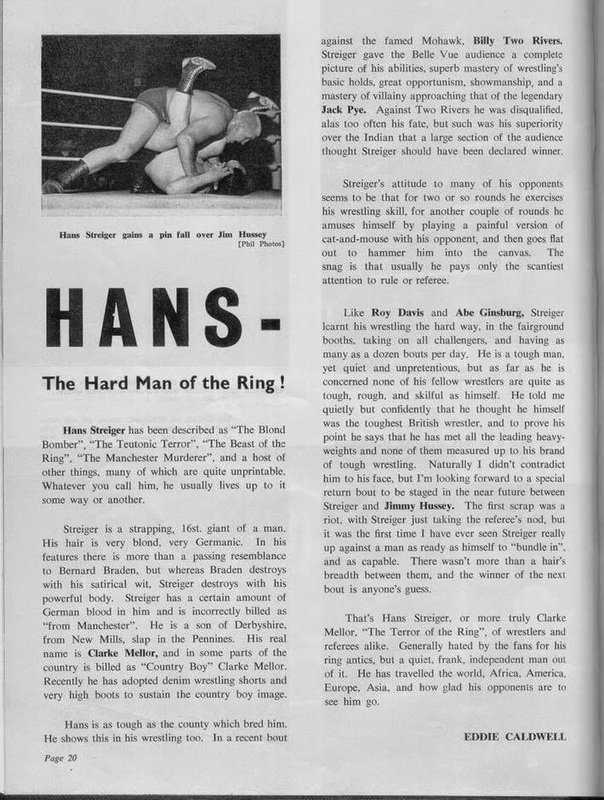 One of the men who came through the legendary training ground was Max Raeger, who would go on to wrestle for some of the biggest promoters in the country and travel the globe, going up against some of the industry's most renowned and famous workers, carving out a reputation as one of the premiere wrestlers of his generation. 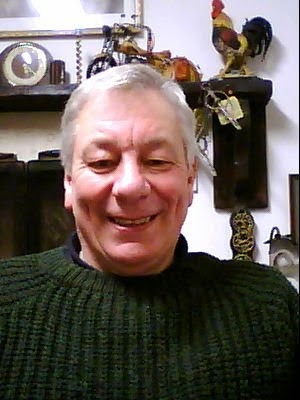 Raised in Yorkshire after being born in Denaby, Doncaster in 1945, Max finished his education at Northclffe School in 1961 and would soon find himself drawn into a 22 year career which he had never previously even considered. How did you first become a fan of wrestling and what made you want to become a wrestler for a living? "When I was 17, some pals asked me if i wanted to go to see the wrestling show at Doncaster, I was undecided, as I was more interested in girls at the youth club, however after asking me two or three times, I agreed. When i saw my first show it was a paticularly colourful bill, a couple of Americans etc, the atmosphere was electric; I'd never seen anything like it before in my life. The nearest thing was the local football club, with a few dozen people. From then on that was my Saturday nights enjoyment. My friends eventually dropped off, but I was hooked. The highlight was when i saw Hans Streiger - what a villain! He could manipulate the crowd as he wished. Streiger became my inspiration. Coming from a dreary mining village myself, he seemed to me like a Hollywood filmstar. He had so much charisma. I knew then that that's what I wanted to do, and nothing else, so I plucked up the courage to ask one of the wrestlers who was having a cup of tea at the snack bar. That wrestler was Dennis Mitchell, and he advised me to join an amateur club but the nearest one was 50 miles away in Bradford, which was out of the question." As a teenager, Max was learning the business from some of the previous graduates of Glover's training who were already making their own names in the wrestling world. Wrestlers such as Dai Sullivan, Sam Betts (also known as Dwight J Ingleburgh), Jack Land (aka Karl Von Kramer), Pedro The Gypsy and more. 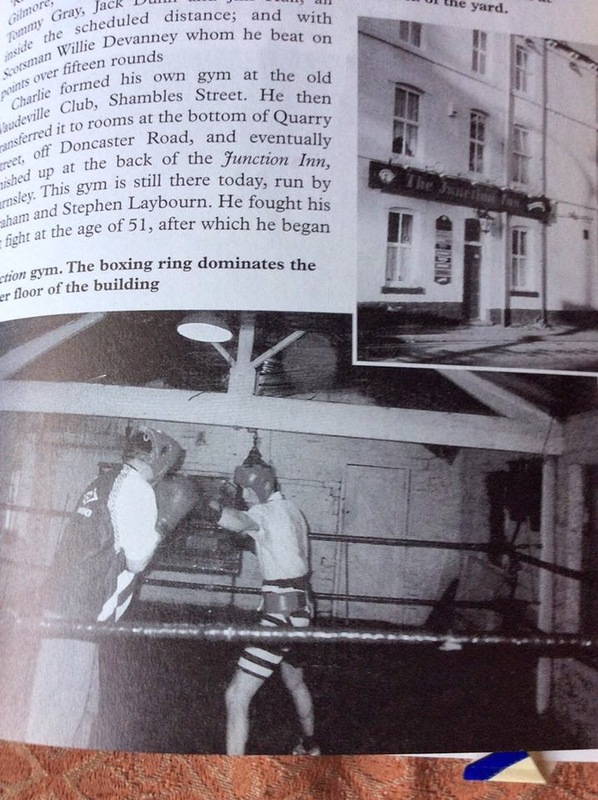 How did you first get started training at The Junction & what are your main memories of the gym and the trainers like Charlie Glover, Sam Betts & Gordon Kilmartin? "I eventually joined [the gym at The Junction after I] spoke to Brian Glover & he told me to get myself over to Barnsley. I was there for three years getting hammered with the likes of Gordon kilmartin, a very hard taskmaster. Eventually Jack Land (Karl Kramer) offered me my first bout at Dudley Birmingham. In between, though, I was going round the fairgrounds and finding work on the booths. I must have been dreadful, but I think most of the lads would have been the same. During my time at Glover's, I 'pulled round' with many wrestlers. I always liked Sam Betts; he never took liberties with this young hopeful, he would help me and give good advice. So did Brian Glover. He once told me 'you'll make it, you've got it, stick at it'." Sam Betts remembers Max arriving at the gym as a trainee and told me "[When] Max joined us at Glover's gym, he was a likeable lad pursuing his career to become a wrestler. He took the rigours well...I can't comment on his style in later years as I was on a different circuit, but he had a good wrestling background." "When we were training in those days - and I can only speak for Glover's gym - but there was no smell of aftershave and body deodarant, it was just wintergreen rubbing oils. You had to wear a track suit as the canvas came off a lorry or something; it was filthy. There were old mattresses propped up round the walls - there had to be, as it had been part of the stables for the old pub & there were nails and hooks etc still sticking out of the walls. The people who were there at the time were all mainly boxers and ex boxers - rough looking old men, many with broken noses and cauliflower ears. They didn't seem to care much for the wrestling section, although several of the wrestlers were ex boxers: Sam, Jack Land, Stoker Brooks etc. Streiger had trained there previously too. He had been a professional boxer, finishing because of damaged hands, then going on the booths and turning to wrestling. As I said previously, Kilmartin was a very hard man. He was eighteen stones at the time & I was twelve. I went to hell and back with him in the gym, but I kept going back. As I say Landy [Jack Land/Karl Von Kramer] eventually got me my first few bouts. I didn't get much after he took his 65% 'commision'." A lot of the people who were trained by Charlie Glover went on to do very well in British wrestling, and he produced some of the best workers the country has ever seen. What do you think it was about the training or the people there which helped make the trainees so successful? "The training we were given was a make or break policy, as in the old days you were tried out; tested if you like - e.g. hammered regularly! If you kept coming back for more, somebody would notice you if you were lucky." At 19 years old, Max would start competing on the wrestling and boxing booths which were a cornerstone attraction of the fairgrounds and involved taking legitimate open challenges from the audience. Working the booths meant competing as many as five or six times a day, accepting challenges from locals who were looking to win money or simply embellish their local hard-man reputations. 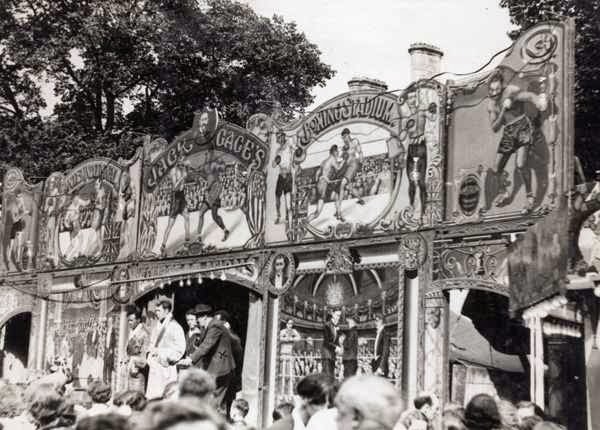 At that time, the money earned from these fairground booths was a decent amount, particularly for young men whose other options were limited to the local mines, and it was enough to keep the competitors coming back for further paydays. You started working at the boxing and wrestling booths when you were 19. What attracted you to it and what are your main memories of that time? Were you ever scared when taking open challenges from the audience? "When I was on the booths, the best one I think was Jack Gage's, in and around Oxfordshire. It had been in the Gage family for 3 generations. The frontage depicted old boxers & scenes etc from 1900 up to the 30s. I think it went to America to be used as some novelty burger bar or something. I remember sleeping in the ring one night as I had got to Oxford early & couldn't get digs. It was freezing! I was eighteen years old [at that time]. With regards to being 'scared' when taking on a challenge, I wouldn't say I was scared, but I was very, very cautious; knowing I was fitter than the average opponent, I knew he could always try something which wasn't 'in the books', so as Jack Land said - "do him quick as you can or else he'll do thee! ", so it was a case of dog eat dog. I had to come out on top or else I would be out of a job." The experience proved invaluable for Max as he transitioned into working as a professional wrestler in 1964. He would rely on his skills learned at the Junction rather than a flashy gimmick or adopting an outlandish character, and would carve out a stellar reputation on the various circuits throughout the country. "I only ever wrestled once under my own name. That was in the village where I grew up and was towards the end of my career. The name 'Dai Rees' was just a name that was on the bill when I first started out, I never used it again. Later on in the 70's, I used to be billed as 'Dai Jones' when I worked in South Wales and Butlin's, Barry Island etc. I was never a gimmick man, I preferred to wrestle the orthodox way; it was the way I was trained & it seemed to get me through. In my opinion there are two types of gimmick men: the ones who want to add to their wrestling skills, thereby furthering their careers,which is good, and others who have very limited wrestling ability and have to cover up their lack of knowledge which is not good." 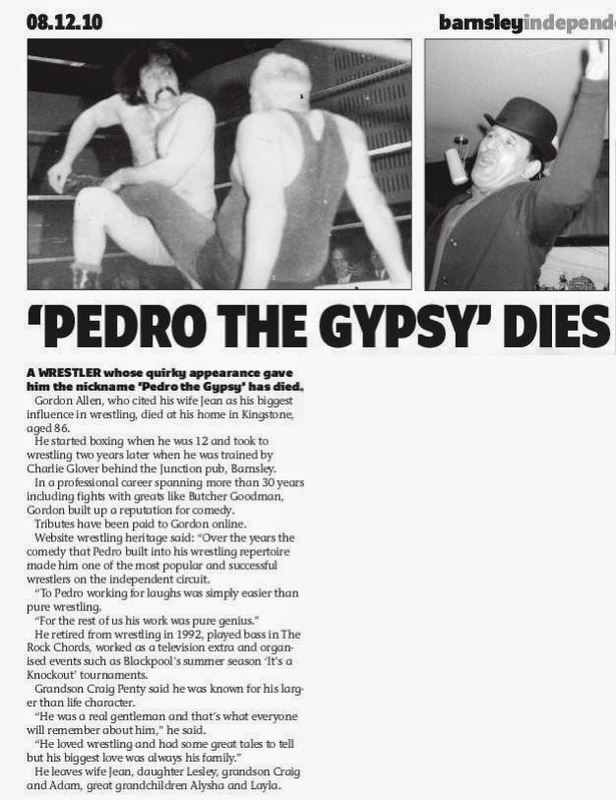 Initially working for independent promoters, his early opponents included the likes of Butcher Goodman, Stoker Brooks and Pedro the Gypsy, who was later to become a regular tag partner. You started working for independent promoters when you turned professional. Where were your favourite places to work and did you have any favourite regular opponents? "For the early years as a wrestler, I was only part-time as i was working down the pit [at first] and then doing a bit of scrap dealing. 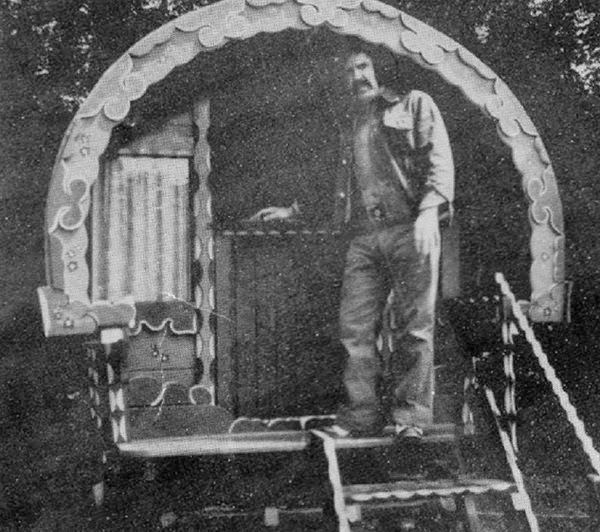 When I worked for independent promoters, I used to be in the West Country a lot in the early 70s. Plymouth was a good place for me as I seemed to have a good following there, & also Gloucester, but my favourite place of all was Blackpool. I wrestled there for eleven or twelve years. In the summer season the crowds were always good. 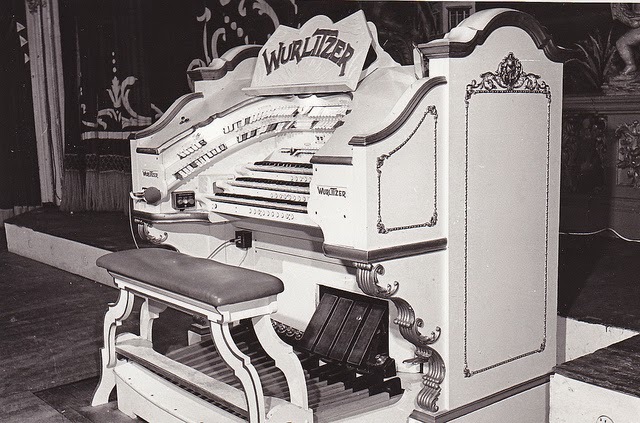 And then in the evenings after finishing doing the challenges etc on the pleasure beach, I would go to the Tower Ballroom to listen to the Wurlitzer. I had a fondness for the Blackpool Tower Ballroom since I was a very small child. I wouldn't say I had regular opponents, as I would work with most people, but I did wrestle with Pedro The Gypsy many, many times both as an opponent & as a tag partner. The stories and adventures I have of Pedro are legion. We enjoyed each others company and had the same sense of humour. We never took life seriously; We knew we wouldn't make a fortune from the job ,but we squeezed as much enjoyment out of it as possible. When working for independents, at one stage (when the times were good), I did 28 'jobs' per month, and on average 1500 miles per week." You would later start travelling the world, and you wrestled in India, Africa and throughout Europe. What memories of travelling and working abroad stand out for you, such as which countries treat incoming wrestlers as the biggest stars? What places were the most different from home (including any strange venues) & which were your most/least favourite to visit? "When I went abroad, it was usually for 3 to 6 weeks at a time. I was once asked to go to Spain for 7 months, but with a small child, I flatly refused. You ask me which countries treat wrestlers as their biggest stars, I would say without doubt India & Pakistan. 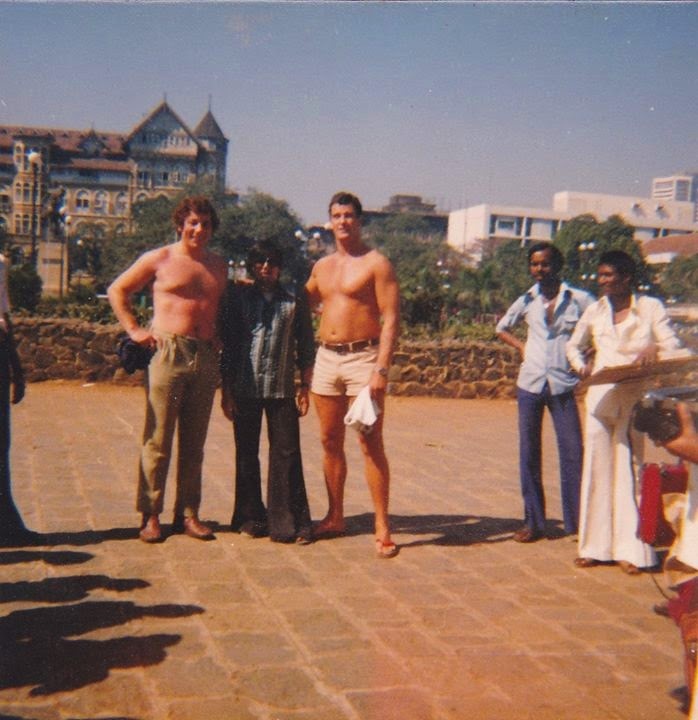 Dave Taylor once wrestled before 250,000 people in India. I went to India 4 times and wrestled Dara Singh in front of 125,000 people in New Delhi. I met Rajiv Ghandi, [the 7th Prime Minister of India] before his assasination and also Kenneth Kaunda, President of Zambia. I liked the United Arab Emirates, but I hated Pakistan. It was a disgusting place. I could smell the place on my clothes for weeks, even after washing. I have never wrestled in any 'strange' venues. I wouldn't on principle." 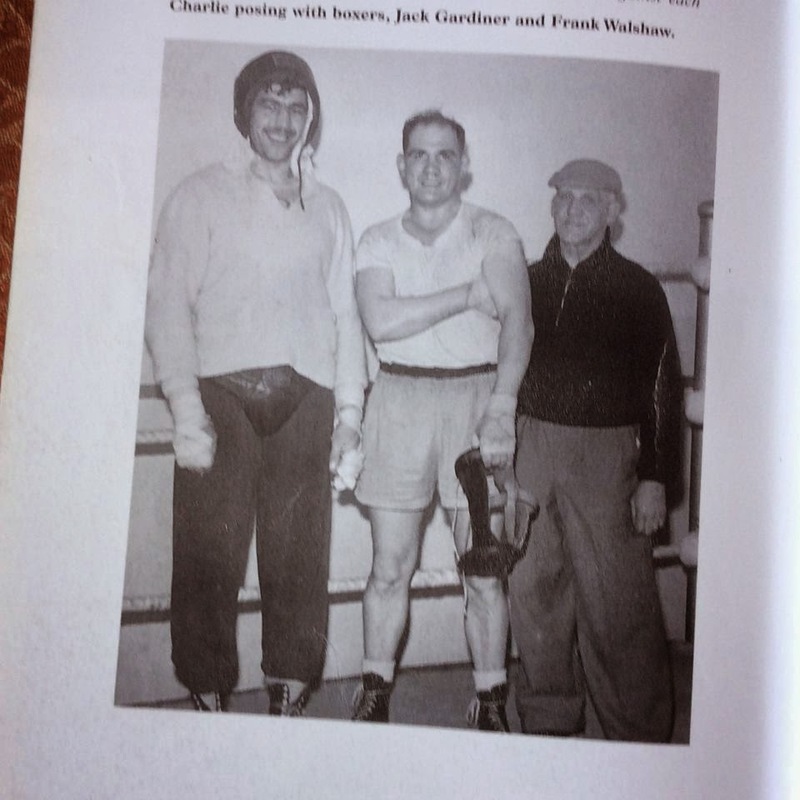 Max caught the attention of George de Relwyskow Jr, a Leeds based prompoter who was a major part of Joint Promotions and as a result he was signed up by the group. He became a regular worker throughout the north of England and Scotland, working against the likes of Honey Boy Zimba, Ivan Penzecoff and Barry Douglas. What were the main differences between working for Joint Promotions compared to working for independent promoters? "I was advised to join Joint Promotions by George Relwyskow, who came to the Leeds gym where I was pulling round one Sunday. I had taken Dave Shade, who I had got into the buisness, and Catweazle (who never had a car). I went to Joint Promotions to help further my career, but I couldn't get enough work from them to make it worthwhile. And a lot of the people there were too full of themselves, even though we were all in the same boat. No, the 'other side' was far better. Albert Wall agreed when he left Joint Promotions." 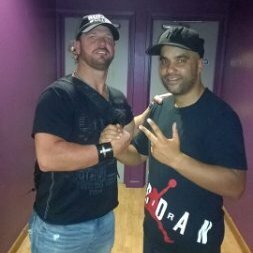 Which British wrestlers do you feel were either the best, or the most memorable characters that you encountered throughout your career? "With regards to the best British wrestlers, for my money they were Billy Robinson, Tony Charles, Eric Taylor, Johnny Allan, Alan Miquet, Jon Cortez, Pete Roberts & Marty Jones. Some of the outstanding characters I remember were Billy Two Rivers, the Indian. He filled every hall he ever went to in the begining. Josef Kovacs was an awesome villain; I saw arch-'baddie' Hans Streiger being the 'blue eyes' against him. He was a villain in real life too apparently. George Gordienko, a Canadian: He looked the perfect heavyweight and could do the job too. Billy Robinson could move about like a middleweight. Tony Charles: One of the best looking blokes in the buisness, with a personality to match. He was one of the fittest wrestlers ever - a keep fit fanatic. Everybody liked Tony, he was outstandingly good." Do you think that British wrestling could ever get back to the level of popularity of the World Of Sport Days, & what do you feel is British wrestling's legacy? "I don't think it will ever get its popularity back. Too much damage has been done in its latter years on TV. People suddenly woke up and realised they were being taken for granted; putting on what I saw as pantomime. Just a certain few set in the rot in the end. I think the legacy British wrestling left is..it brought much pleasure to the millions of people who watched it. Nothing ever again will stop the country at a certain time every week." Max's career spanned twenty-two years, including over 3000 contests. Despite his rugged and aggressive past, Max is an avid animal lover, and following his retirement in 1986 he & his wife bought a farm in the West of Ireland where he breeds Japanese game poultry and keeps horses. He remains fiercely patriotic and returns to England each year for the annual wrestler's reunion in Leeds.